왜적의 침입으로부터 경주를 보호하기 위해 신라 성덕왕 21년(722)에 쌓은 산성이다. 원래 이름은 모벌군성(毛伐郡城)·모벌관문(毛伐關門)이었는데, 조선시대에 관문성으로 부르게 되어 오늘에 이르고 있다. 우박천이라는 냇물을 사이에 두고 동해를 향하여 쌓았으며, 673년에 쌓은 북형산성과 함께 경주의 동쪽을 지키는데 큰 역할을 했다. 관문성은 경주의 다른 산성들과 다르게 산과 산을 연결하며 길게 쌓은 특수한 방식의 산성으로, 그 규모가 12㎞에 달해 신라의 만리장성으로 불리기도 하였다. 성 안에는 성문자리로 보이는 곳과 창고자리·건물자리 등이 군데군데 남아 있다. 잘 다듬은 돌과 자연석을 이용하여 쌓은 산성으로, 경주의 남산성과 비교해볼 때 성쌓기 방식에서 훨씬 발달된 모습을 보여주고 있다. This fortress was built in 722, the 21st year of the reign of King Seongdeok, to protect the Silla capital of Gyeongju from enemies coming from the southeast. Formerly called Mobeolgunseong or Mobeolgwanmun, it was renamed Gwanmunseong during the Joseon Dynasty (1392-1910). This fortress and the Bukhyeongsanseong Fortress, built in 673, contributed to the defense of the east side. The total length is about 12km, which is why the local people call it Mallijangseong meaning “10,000 ri-long Wall.” ri is a traditional unit of measurement. 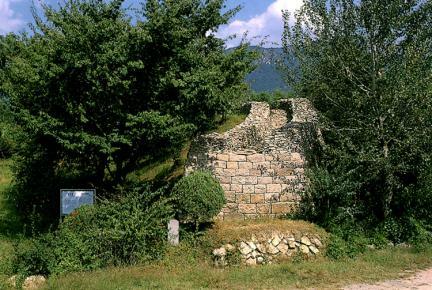 Within the fortress, the sites of the gate, buildings, and warehouses remain. 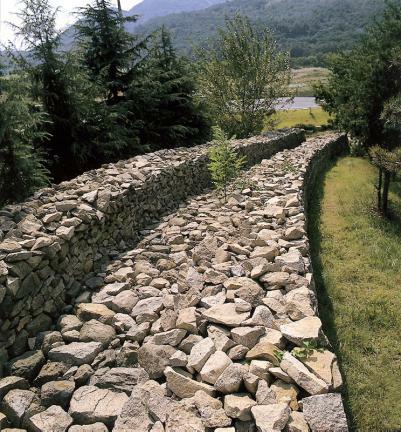 The fortress is composed of 40-50cm long stones piled in the running bond method of wall construction, i.e., wider at the base and narrowing gradually to reach a height of 4-5m. 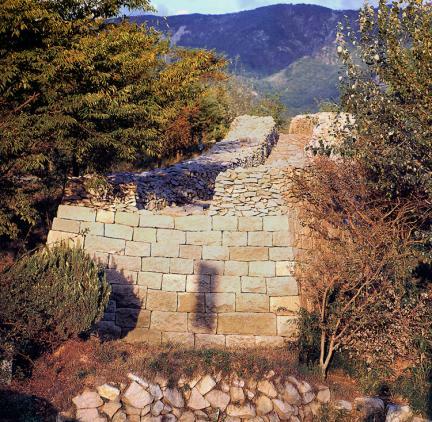 Gwanmunseong is different from other fortresses in Gyeongju in terms of construction, connecting mountains.